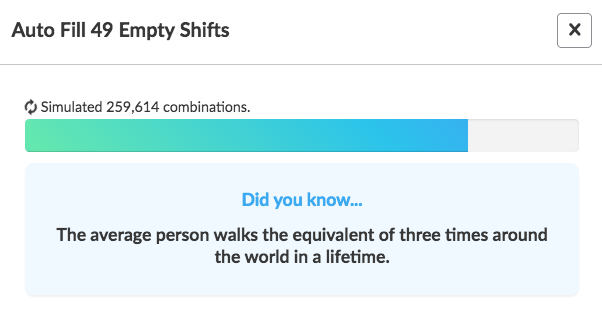 This feature allows you to fill your empty shifts with employees without having to assign employees individually. 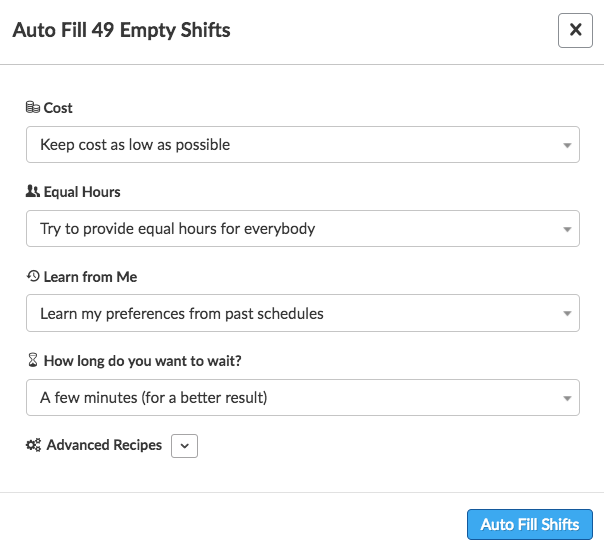 Deputy now features the ability to auto fill empty shifts at the click of a button. Please note that this function will only fill EMPTY shifts. It will not automatically fill OPEN shifts. This function is only available in DAILY or WEEKLY schedule view. 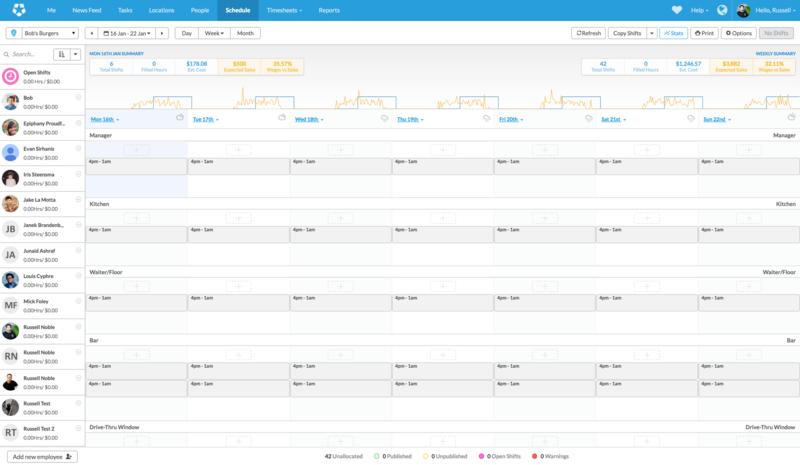 To utilise this feature, navigate to the Scheduling page. A pop-up window will appear. From here, you can select your autofill preferences. Keep cost as low as possible - This option will ensure that the generated schedule will take into consideration employee cost. Try to provide equal hours for everybody - Selecting this will take into account the hours each employee is scheduled for and will attempt to keep hours equal. Learn my preferences from past schedules - This option will look at the previous instances where you have selected the auto-fill function and will preference shifts based on what it has learned from the past. How long do you want to wait? As explained, each option is more in-depth than the previous option. This box allows you to create more articulate parameters behind the autofill process. For example, the following 'recipe' ensures salaried employees work between 40 and 45 hours per week, and makes sure that employees aren't scheduled during early morning and late afternoon regardless of stress profile. For more assistance with advanced recipes, click here. To begin the auto-fill process, select your preferences and click 'Auto Fill Shifts'. The feature ran through over 250,000 simulations and schedules. 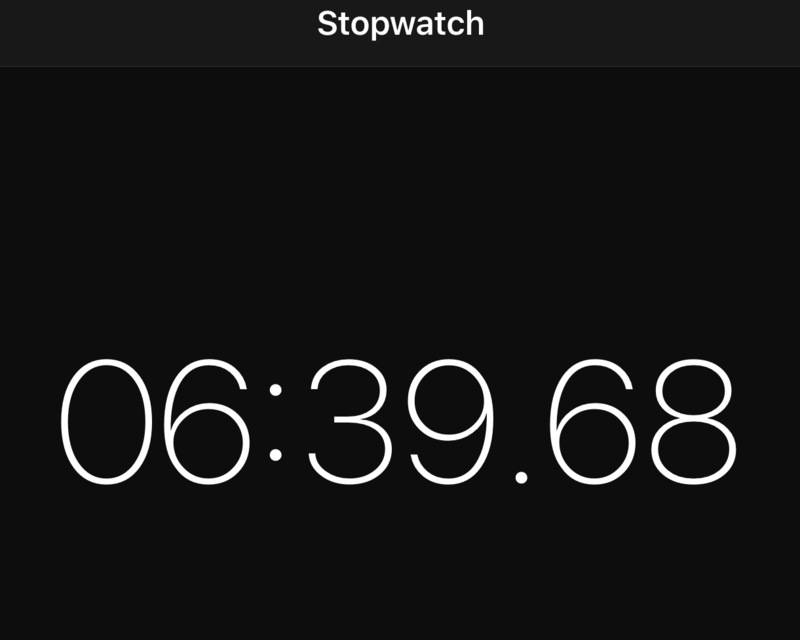 This took 6 minutes and 39 seconds to create a filled schedule. The video in the beginning of the article took 5 minutes and 30 seconds using the same preferences after the third run-through. This feature will not publish your shifts. 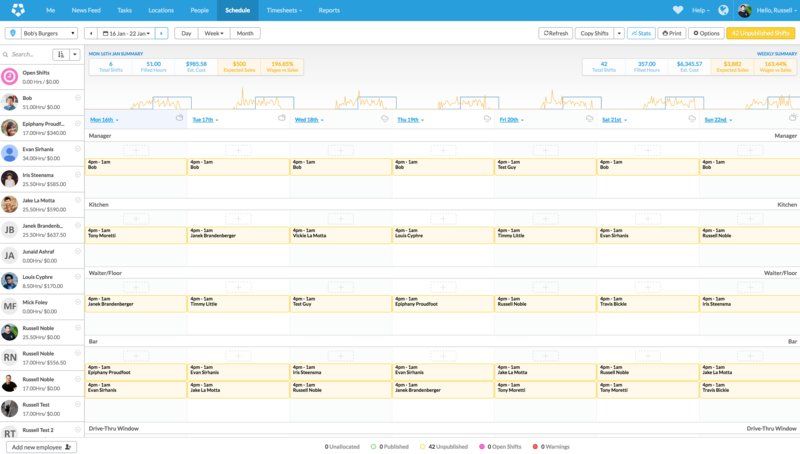 This gives you the chance to review the created schedule and make any changes to it. From here you can publish your schedule when you are finished. If you have a set schedule (e.g. 1 manager and a set number of floor staff), you can create a Schedule Template containing empty shifts to save you some time. The more you use the Auto Fill function with 'Learn from me - Learn my preference from past schedules', the more the tool will learn about your schedule preferences, which will make Auto Fill more effective and efficient.